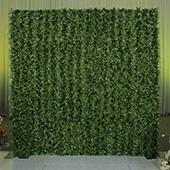 Event Decor Direct offers you the best opportunity to shop for your preferred 7-Panel Kits (49-84 ft. 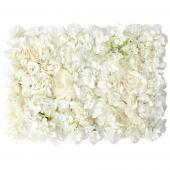 Wide) which come with additional features than you would expect from other places. You are exposed to a wide array from which you will be able to select what fits perfectly with your budget and preferences. 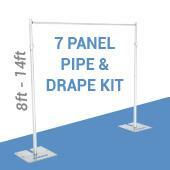 To make our services more effective, you are given advice on how to assemble every part of the 7-Panel Kits (49-84 ft. Wide). You will not have to face hard time because our crew is ever willing to respond to any inquiries regarding the functionality of the 7-Panel Kits (49-84 ft. Wide). 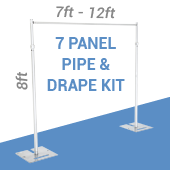 You need not doubt about the materials that make up the 7-Panel Kits (49-84 ft. Wide) because all our kits are made with heavy duty material and aluminum pipes that are resistant to corrosion. The bases are weighted to ensure more stability of the kits and to avoid unnecessary movements as the wind blows. 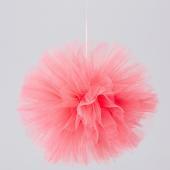 Therefore, you will not get inconvenienced amid your event because of such things as blowing off of materials. 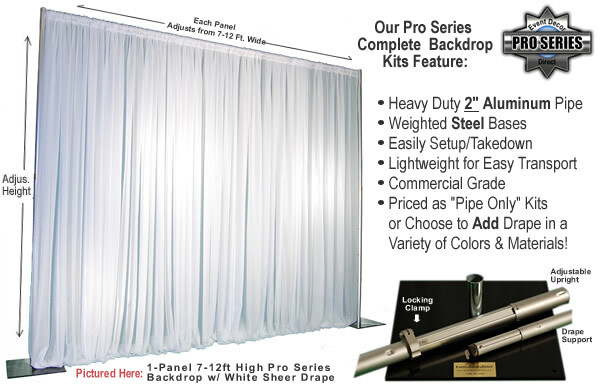 It is true that every person would like to work with easily portable7-Panel Kits (49-84 ft. Wide). 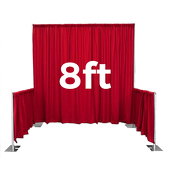 This is one consideration that Event Decor Direct has put much emphasis on by ensuring the 7-Panel Kits (49-84 ft. 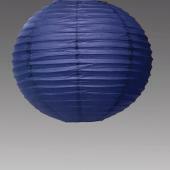 Wide) are made using light materials to increase their portability from place to place. The kit is also very easy to set up as well not forgetting that you will not have to waste much time to dissemble. Basically, everything is made with an aim of availing perfection at the same time offering convenience and efficiency. Customers who are interested in 7-Panel Kits (49-84 ft. Wide) also purchase Drape Supports (Cross Bars), Bases and Storage Solutions.